Earth Day is celebrated annually on April 22. It’s a day dedicated to the worldwide recognition of the planet we live on. Various events are held all over the place demonstrating support for environmental protection. On this past Earth Day in 2017, Washington D.C. (along with many other cities all across the country) hosted its first Science March. A major reason for the Science March was to encourage lawmakers to create policies that take our environment into consideration. Science is an aspect of everyone’s lives, and this march was supposed to draw attention to how science affects every citizen of the world. 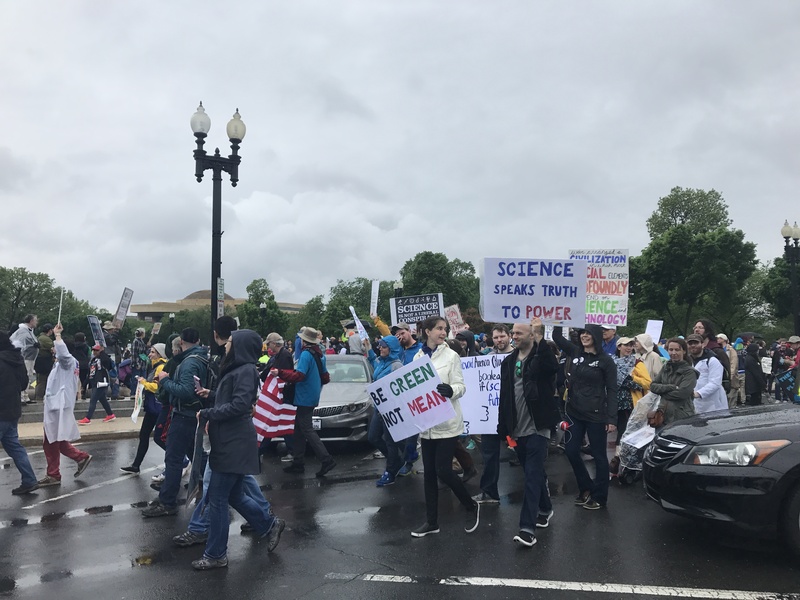 The march gained national attention as many news organizations covered the event, featuring thousands of activists strutting down Washington D.C.’s Constitution Avenue. The movement is also focused on improving science outreach and communication, advocating science education and scientific literacy, and fostering a diverse and inclusive scientific community, (March for Science). Many marchers displayed creative homemade posters and signs advocating their cause. The march was sponsored by the Earth Day Network which helped to further draw attention to the event and invited many well-known scientists and advocates for science including Bill Nye, the “Science Guy”. For information on future events visit marchforscience.com!